3, a key for yourself or others used the skills. 4, support more key tool while operation change, and mutual influence. 5, support key combination, can effectively avoid repetition of the extra operation switch skills. 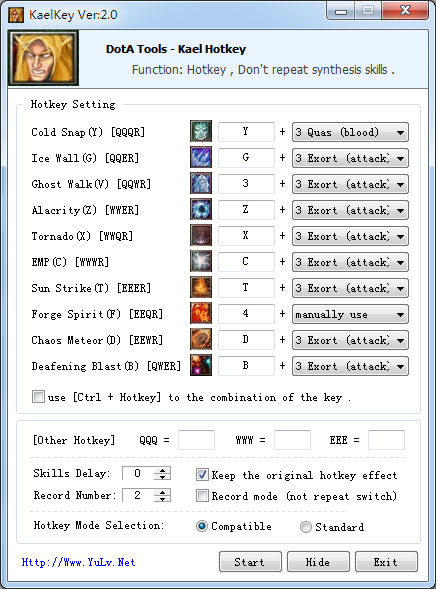 DotA KaelKey can let you better control a variety of skills, strong a key operational efficiency is higher. Dead Links, omg. Help please. Has been sent to your e-mailbox, please check.